(NFTU) The Moscow Patriarchate has successfully engineered ecumenism on its own terms– at least for the present. 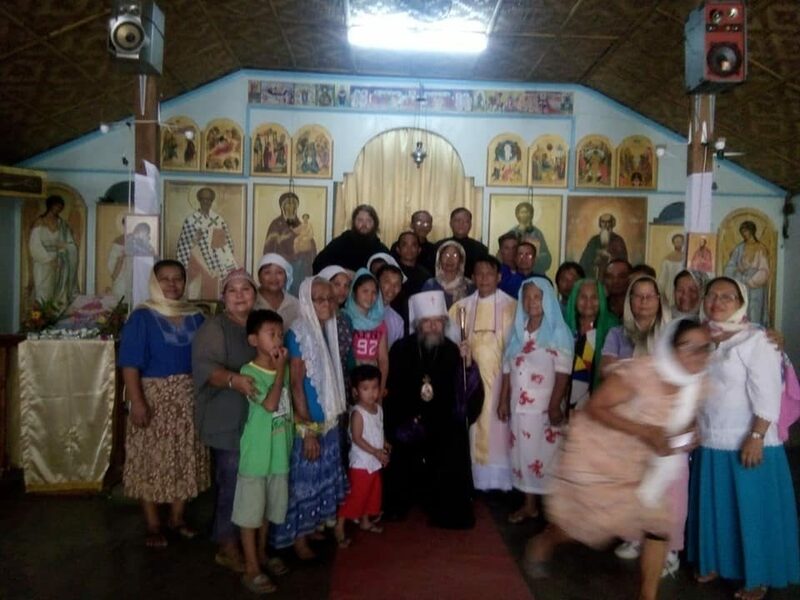 On August 23, Metropolitan Kirill of Smolensk wrote a letter of support re-establishing relations with the Episcopal Diocese of Pittsburgh, the first such move since suspension of all contacts in 2003. 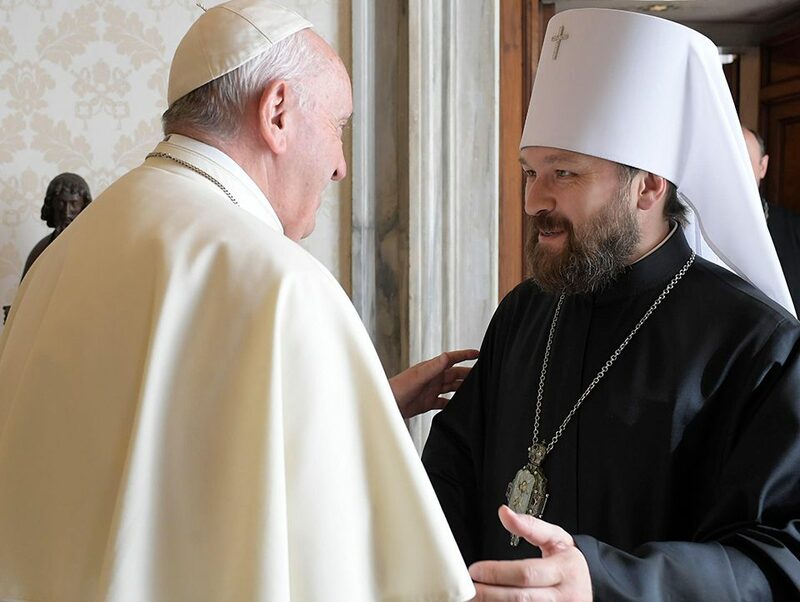 With the recent statement of support from Metropolitan Kirill of Smolensk, the MP’s main contact on ecumenism, Moscow has reopened a door from which it previously exited on moral grounds. In 2003, the Patriarchate severed ties with the Episcopal Church in the US for their election of an open homosexual to the primacy of their communion. Strangely, this was during a tense period between the Patriarchate and the Russian Church Abroad, which was in recent years vehemently against the ecumenical movement altogether. This most recent election of Ms. Cathrine Jefferts-Shori to the primacy of the American church on June 18 created a schism in the Anglican community, and gave the Patriarchate another opportunity to create an illusion that they had been fostering since 2000– that the Patriarchate’s days of government-sponsored ecumenism were finally over, and that the Patriarchate would encourage traditional Christians in other churches that they would have the support of the Orthodox. However, this in fact does not jive with reality. When asked at the time about whether the MP would completely sever itself from ecumenism as asked for by the ROCOR hierarchy at the time, Metropolitan Kirill simply responded that the ROCOR had to come to terms with modern times. 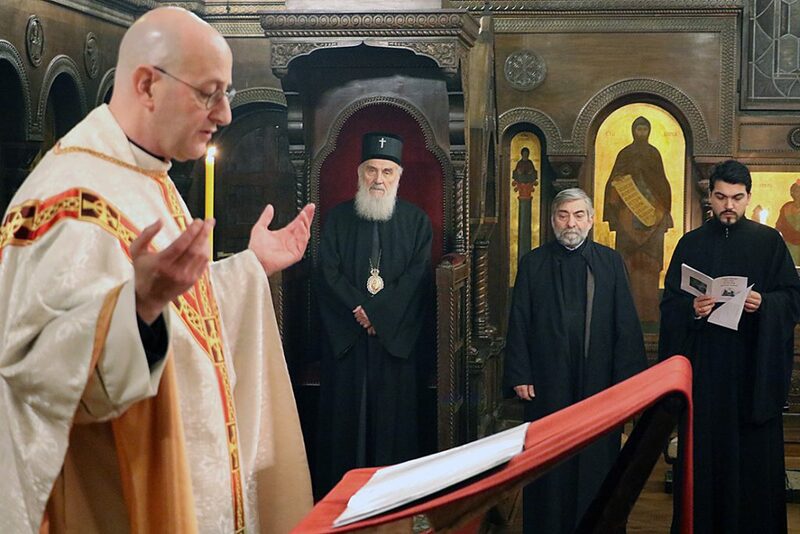 The Anglican semi-schism has provided the Moscow Patriarchate with its wish to have its cake and eat it too– the ability to maintain its ecumenist program while at the same time appearing traditional and conservative. 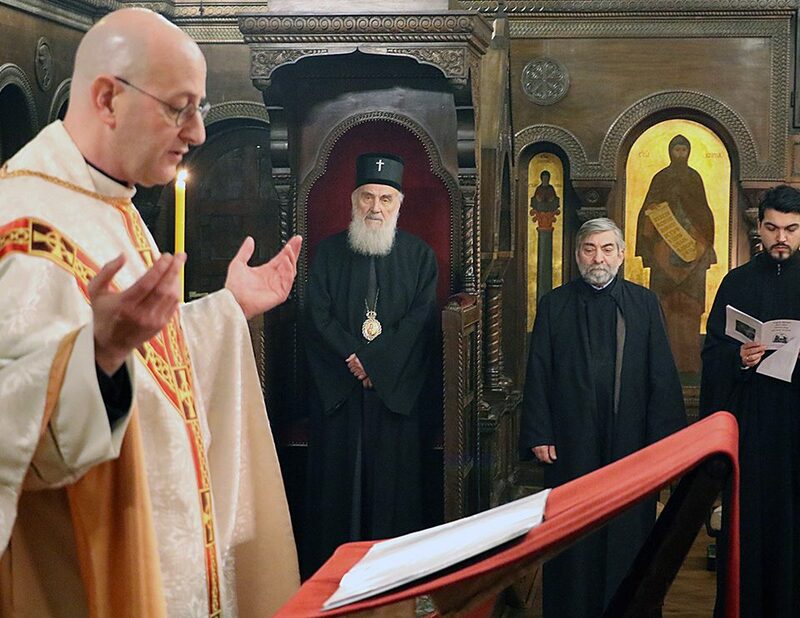 It was most fitting that the MP would again use an opportunity to present their Soviet-created entity as “the Church [that] did not compromise with the spirit of this world”, while ignoring the fact that from lower to higher clergy, the Patriarchate was completely subservient to the will of the atheist authorities. The Anglican bishop recognized very clearly what the Patriarchate seemed to purposely ignore– that its position was in fact inconsistent. The Anglicans in question, while against the election of a gay Bishop, in fact fostered their schism because of the election of a female primate— something that one suspects that Bishop Robinson supports, as he makes direct reference to his allowance of women as priests and deacons, forbidden by the Orthodox Church. 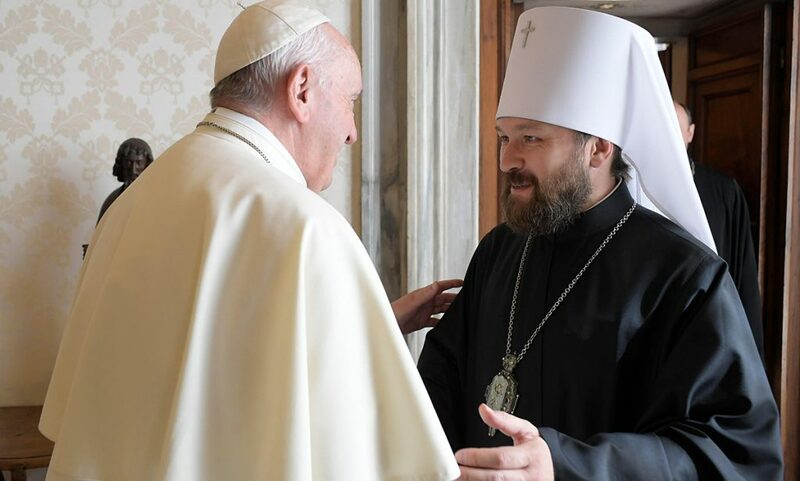 And to further enforce that classical liberal ecumenism is not something that Metropolitan Kirill can escape, Robinson asks for confirmation: would the Moscow Patriarchate recognize his diocese knowing that they have female clergy? Although Moscow was recognizing the move of conservative Anglicans now, why were they so diplomatic until 2003? The Anglicans in the United States had been ordaining women since 1968, and elected their first female Bishop, Barbara Harris, in 1989! Underneath the goodwill chatter about fidelity to tradition and even a reference to St Tikhon on the part of both parties, it appears that both recognize each other for who they are: good old-fashioned American liberals and good old-fashioned Soviet politicians.